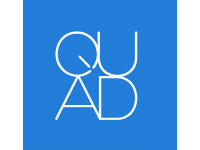 Quad, digital brand and engagement agency London. We do strategy, creative, technology and activation. In simple terms, we are a digital brand and engagement agency. On a deeper level, we are an extension of your team.